Catch Type STD = standard catch, use for well aligned doors. 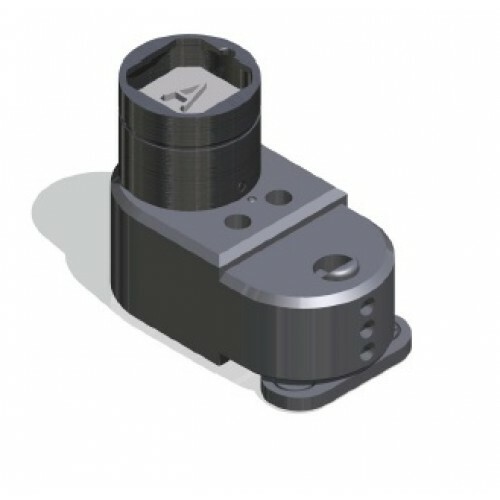 Also available with MS = catch with spring, use for misaligned doors. The D-FSS-RE-STD-2 Castell Locks ( DFSSRESTD2 ) is a two-part interlock, comprising of a lock body and rear or front entry mounted catch. 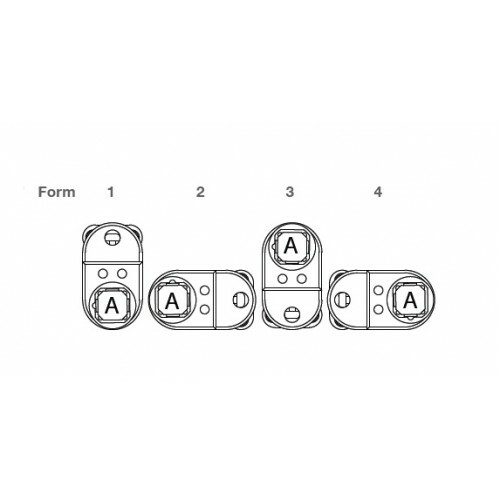 Typically, the D-FSS-RE-STD-2 Castell Locks is used for interlocking electrical control cubicles and distribution panels. The power supply to the system is switchedon and the access doors to the hazardous area are locked closed. The removal of the isolation key in theKSS20, isolates the electrical supply to the LV Panel. 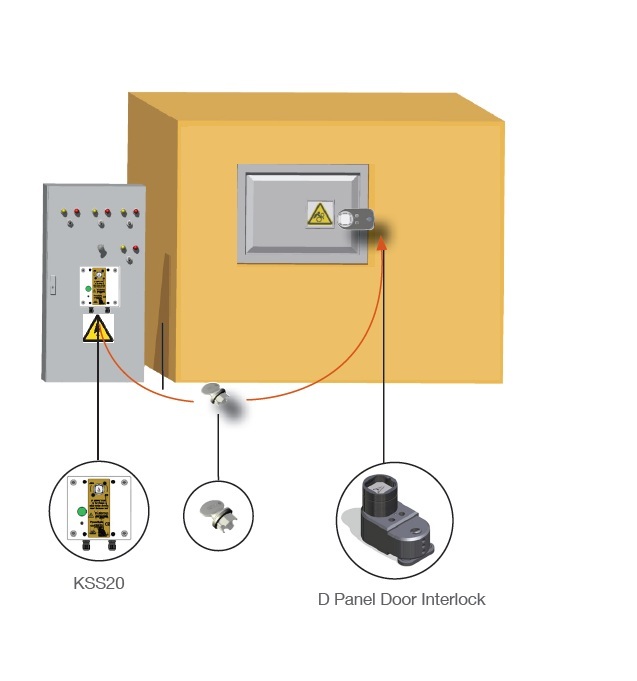 This D-FSS-RE-STD-2 Castell Locks ( DFSSRESTD2 ) is then used to unlock the D panel door interlock interlock on the panel door. Application :A typical application of Castell Trapped Key Interlock KSS solenoid controlled swi..